I love trying new things and I love doing at home recipes, remedies, and new looks. 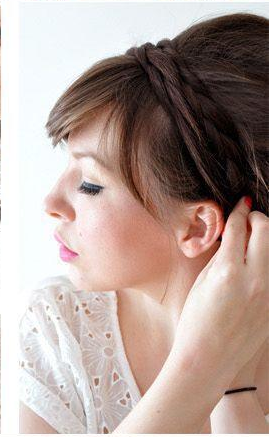 Here is a simple, do it yourself braided hairstyle. It's an elegant style that doesn't take a expert to pull off. 1) Before starting, make sure that hair is clean and dry. It is best if the hair is washed since the oils in the hair will weigh down the hair and this look needs volume. 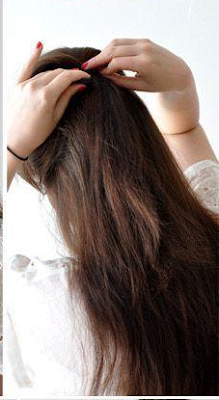 Begin by spraying your roots with hairstyle, focusing mostly on the crown of the head. 2) Back comb / tease the crown of your head. Then slightly comb the front on in a neat, clean bump. 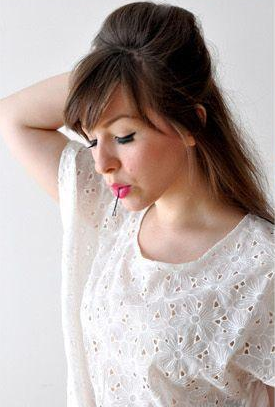 3) Section your bangs away from the bump as shown in the picture. 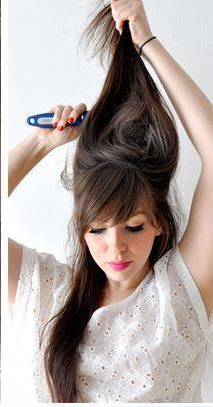 4) Pin the bump with some bobby pins. Spray the crown to set the bump. 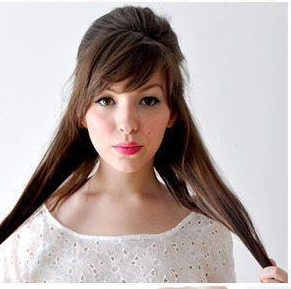 5) Divide the lower half of the hair into two sections. 6) Braid the two sections of the lower half. 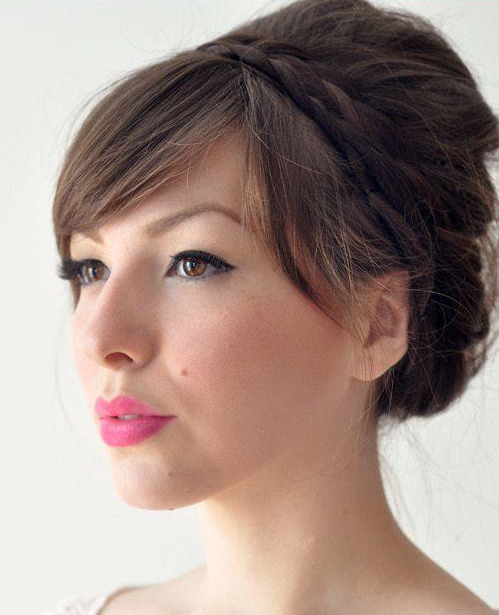 7) Pull each braid around the crown of the head to its opposite side. 8) Use a bobby pin to secure the braids at the ends. Add a flower or some hair jewelry to accessorize. Have a go at it and tell me what you think.